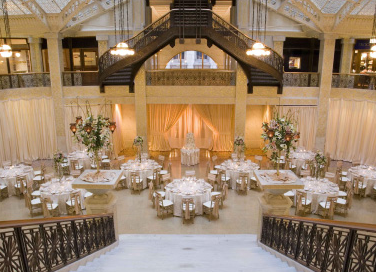 When a bride asks for a building with stunning architectural details, I can help but always think of The Rookery. Located in the loop, it makes for a stunning wedding. There a many dates available for 2010 but the following have a discounted venue rental: July 26th, July 3rd, July 10th, July 17th. For more information, contact Emily at Jewell Catering.